Roseanne goes bye-bye, everything is a conspiracy, Starbucks “closed” today, a sleepy Dearborn Heights officer, day 3 with a “Toilet Seat Barney” related call & Morgan Freeman: creepy old man or harasser? Maz is running a little late for Maz day, but he brought food to make up for it. We can’t go too late with the podcast tonight though cause Maz has to get back to clean the house before his parents get there. Drew had a Pretty Woman moment while shopping for watches at Hermes. OOooOooo!!!! 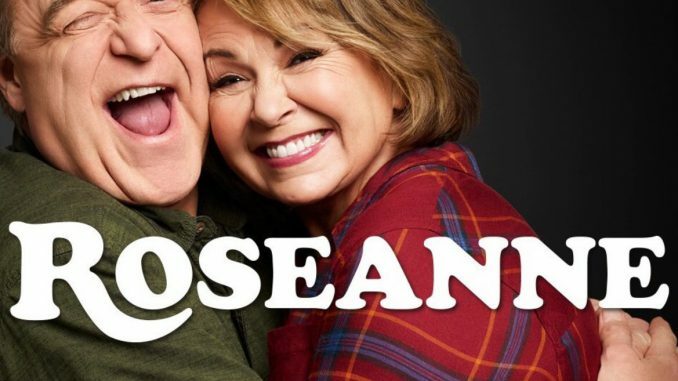 ABC wasted little time in canceling Roseanne’s show after making a stupid unfunny tweet at 2:45AM. Maz claims to not be involved in social media much anymore… FAKE!!! Barney Smith’s daughter Julia Murders unsolicitedly calls in to tell us about the book signing, the whereabouts of Bob Peterson & we try to guilt Julia into getting her Dad some help with the leaves. The Vegas Knights blew their budget on the pregame show… again. Maz doubles down on some of the worst separated at births in the history of the show. Ray Bennett is spearheading a conspiracy that the NHL is fixing the Stanley Cup games for Vegas. Not a sports podcast: Golden State beat the Rockets & will be meeting the Cavs in the Finals for the 4th year in a row. Harvey Weinstein got perp walked before bailing out immediately & having his attorney make a statement. Morgan Freeman is losing jobs for being creepy old man. He released a video that he says proves he wasn’t perving out & is suing CNN for running the story on his alleged harassment. Starbucks ‘closed’ today… at 2:30pm for racial bias training. A crowd has never turned on someone as fast as the white chick singing the ‘N’ word on stage at the Kendrick Lamar concert. A badass dude in Lansing built his own KITT from Knight Rider complete with an actual working voice. Parents are pissed about the new Active Shooter game that lets YOU feel what it’s like to be a ̶l̶o̶s̶e̶r̶ ̶ school shooter. Munir Sirhan didn’t call us back so we leave another voicemail to entice him to come on the show. Cedar Point lost power & the people stuck on the Millennium Force were FRYING. A Dearborn Heights officer got caught sleeping in his squad car. William Brashear Tower is a predominantly senior apartment building that is taking it’s time getting the A/C fixed. The top 8 people that Maz hates is out & it’s accurate. Obama is getting flack for his Netflix deal with people saying he’s pretty quick to cash in. A woman was found dead in an MGM Grand hotel room & Maz found a way to make it all about him. Alan is an expert on JFK but only has a tertiary knowledge of RFK despite what Maz says. 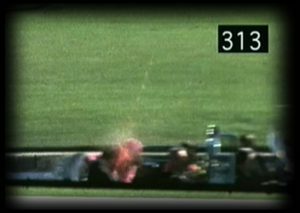 We call him to get some details on the RFK assassination & end up getting an unexpected angle. Alan also has a quick info dump on Van Halen. Yesterday was the 20 year anniversary of Phil Hartman’s grizzly death. Show & Tell gets pushed till next week.